Stretchy watch bands are comfortable and practical. You can easily put your watch on and take it off, and the size is more flexible than other watch band styles. You can create your own beaded stretchy watch band to coordinate with your wardrobe or emphasize your personal style. Watch faces are available at craft stores, or you can use one that you already have by removing the existing band. Bead a stretchy watch band with round, flat or oval beads for the most comfortable style. Cut one strand of stretchy beading cord, enough to encircle your wrist, for each set of attachment loops on the watch face. Watch faces with individual attachments at the corners and/or in the center work best for a stretchy beaded watch band, but you can also use the type with a straight bar along both sides. 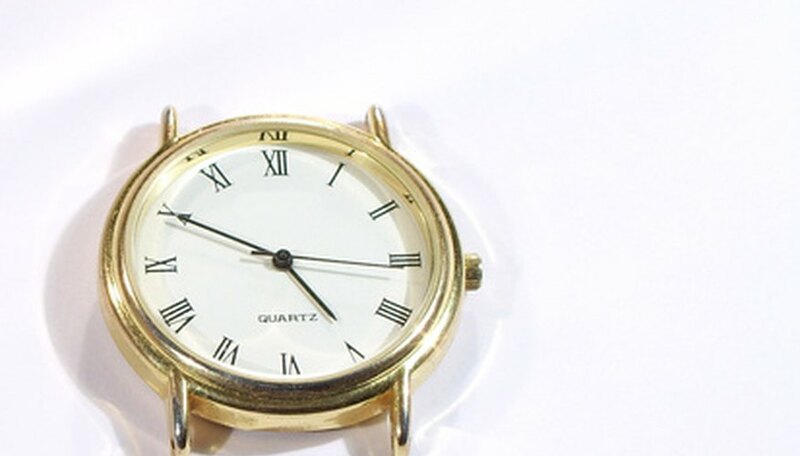 The straight bar design allows you to add more strands for the watch band than one in the center or two connected at the corners. Pre-stretch the elastic beading cord. This will keep the cord from stretching out over time and will also give you enough extra cord to tie the necessary knots. Tie one end of one elastic cord to the attachment loop on one side of the watch band in a triple overhand knot. Leave a 2-inch to 3-inch tail at the end of the knot. Add beads to the open end of the attached stretchy cord to the desired fit. Make sure to thread the first few beads over the main strand and the tail of the stretchy cord. To check the fit, rest the watch face on your wrist and wrap the beaded strand around your wrist. The beads should meet the attachment loop on the opposite side of the watch face. Tie the beaded strand to the attachment loop on the opposite side of the watch face in a triple overhand knot. Repeat Steps 2 through 5 for each strand that you plan to add to the watch band. Cover every knot with jeweler’s glue. Allow the glue to dry before wearing the watch. How Do I Take Links Out of a Citizen Watch Band?